1. Position the oven rack about 3 inches from the heat source, preheat broiler. Line a rimmed baking sheet with foil. 2. Cut each grapefruit in half, then trim a thin slice off the bottom so it sits level. With a paring knife or grapefruit knife, cut around each segment; remove any seeds. Place the grapefruit halves on the prepared baking sheet. Combine brown sugar and cinnamon in a small bowl. Brush each grapefruit half with butter, then sprinkle with about 2 tsp of the sugar mixture. 3. Broil the grapefruit, watching carefully and rotating the pan front to back once halfway through, until the tops are bubbling and golden brown, about 7-12 minutes. 4. Meanwhile, beat cream in a small bowl until stiff. Beat in yogurt, granulated sugar and vanilla just until combined. Serve each grapefruit topped with a tablespoon of vanilla cream. 1. Bring a large pot of lightly salted water to a boil. Cook pasta, stirring occasionally, until just tender, 8-10 minutes. Drain and refresh under cold running water. 2. Whisk mayonnaise, yogurt, oil, vinegar (or lemon juice), garlic, salt and pepper in a large bowl until smooth. Add the pasta and toss to coat. Add tomatoes, bell pepper, carrots, scallions, olives and basil; toss to coat well. Heat 2 tsp vegetable oil in a large nonstick skillet coated with cooking spray over medium-high heat. Add garlic; saute 30 seconds. Add corn; saute 8 minutes or until browned. Remove from pan; cool completely. To prepare dressing, combine first 7 ingredients, stirring with a whisk. To prepare salad, place green beans into a large saucepan of boiling water and cook 5 minutes. Drain and plunge beans into ice water; drain. Place beans in a large bowl. Add tomato, dill, and navy beans; toss to combine. Drizzle with dressing; toss gently to coat. Sprinkle with cheese. Cover and chill at least 1 hour. 1. To prepare puree: Puree 1 1/2 cups raspberries, 1 cup strawberries, orange juice and lemon juice in a blender until smooth. Add sugar to taste. Set aside at room temperature for up to 3 hours or cover and refrigerate. 2. To prepare sauce: Place lemon curd in a medium bowl and gradually stir in sour cream (or creme fraiche or yogurt). Transfer to a serving dish, cover and refrigerate until ready to serve. 3. To prepare berries: If refrigerated, remove berries and the berry puree form the refrigerator about 3 hours. About 1 hour before serving, hull and quarter the strawberries and combine with the blueberries and blackberries in a large mixing bowl. Toss with the puree. Adjust the sweetness if necessary by gradually adding sugar to taste, 1 Tbsp at a time. Cover and let stand at room temperature. 4. Just before serving, add the raspberries to the bowl, tossing very gently with 2 spoons and being careful not to break up the berries. Transfer to a serving dish, if desired, and garnish with mint. Serve each portion of berries topped with about 2 1/2 Tbsp of the lemon sauce. 1. Cook quinoa according to package directions, omitting salt and fat. Drain and place in a large bowl. Let cool 1 hour. 2. While quinoa cools, combine oil and next 4 ingredients (through pepper) in a small bowl, stirring with a whisk. Let stand 20 minutes. 3. Add dressing, tomato, and next 4 ingredients (through chickpeas) to quinoa; toss well. Add cheese, and toss gently. Serve with lemon wedges. Rinse Kale; drain well, and pat dry with paper towels. Place in a large bowl. drizzle with olive oil, and sprinkle with salt. Toss well. Place kale in a single layer on 3 (16×13 inch) baking sheets. Bake at 350° F for 15 minutes. Cool completely. Store in an airtight container. Combine yogurt, honey, and lime rind in a small bowl. 1. Steam broccoli, covered, 2 minutes. Plunge broccoli into ice water to stop the cooking process; drain and pat dry. 2. Combine mayonnaise and next 3 ingredients (through pepper) in a large bowl. Add broccoli, currants, onion, and bacon; toss well. • In a small bowl, mix all dressing ingredients. 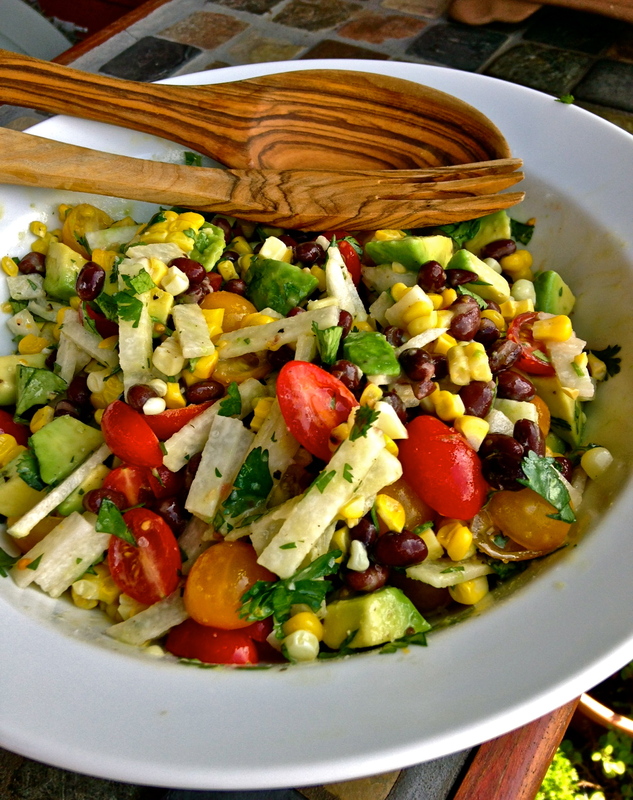 • In a large bowl, mix all salad ingredients. 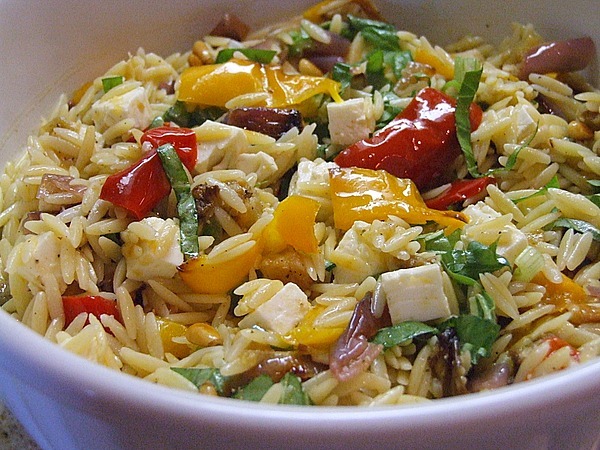 • Toss salad with dressing and serve with pita bread. Place potatoes in a saucepan, and cover with cold water to 2 inches above potatoes. Add ¼ tsp salt and bring to a boil. Reduce heat and simmer 15 minutes or until tender; drain. Return the potatoes to pan over low heat. Add remaining 1 tsp salt and butter to pan. Mash potatoes with a potato masher to desired consistency. Add cheese and pepper to potato mixture and stir until cheese melts. Stir in milk. Cook 1 minute or until thoroughly heated, stirring frequently. Remove from heat and stir in chives. 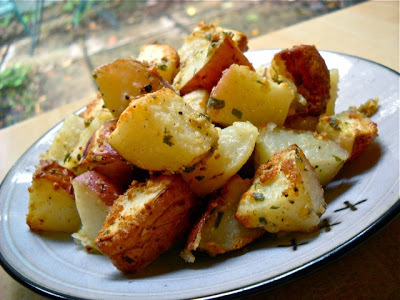 Parmesan and Black Pepper Smashed Potatoes: Prepare the recipe through step 1. Substitute 1 ½ cups (6 ounces) freshly grated Parmigiano-Reggiano cheese for goat cheese. Increase to ¾ tsp freshly ground black pepper and 1 ½ cups 2% reduced-fat milk. Omit chives. Stir in ¼ cup chopped fresh flat-leaf parsley. Directions: Preheat broiler. Cook bacon in a large skillet over medium heat until crisp. Remove bacon from pan, reserving drippings, crumble. Increase heat to medium-high. Add shallots to drippings in pan. Sauté for 2 minutes or until tender, stirring occasionally. Add Brussels sprouts and 1 cup water and bring to a boil. Cover pan loosely with aluminum foil and cook 6 minutes or until Brussels sprouts are almost tender. Uncover and remove from heat. Sprinkle with ¼ tsp salt and pepper. Toss to combine. Spoon Brussels sprouts mixture into a 2-quart broiler-safe glass or ceramic baking dish coated with cooking spray. Place bread in a food processor, and process until finely ground. Melt butter in skillet over medium-high heat. Add breadcrumbs and remaining ¼ tsp salt to pan and sauté for 2 minute, or until toasted, stirring frequently. Add cooked, crumbled bacon to toasted breadcrumb mixture. Sprinkle the breadcrumb mixture over Brussels sprouts mixture. Broil 3 minutes or until golden and thoroughly heated. 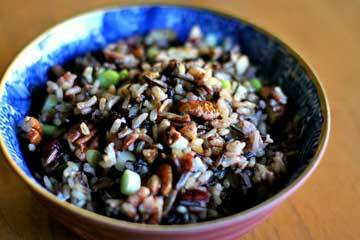 Toast walnuts in small dry skillet over medium-low heat, stirring frequently, until lightly browned and aromatic (3-5 minutes). Transfer to a salad bowl and let cool for 5 minutes. Add arugula, strawberries, Parmesan cheese, and pepper. Sprinkle vinegar and oil over salad. Toss gently and serve. In a medium bowl, mix honey, limeade concentrate, and poppy seed. Poppy seed may be left out if preferred. Add in fruits and carefully toss with honey mixture. Sprinkle with almonds. Wash and dry spinach and place in large bowl with pear slices. Sprinkle raisins and walnuts on top. Whisk oil, vinegar, lemon and salt and drizzle over salad. 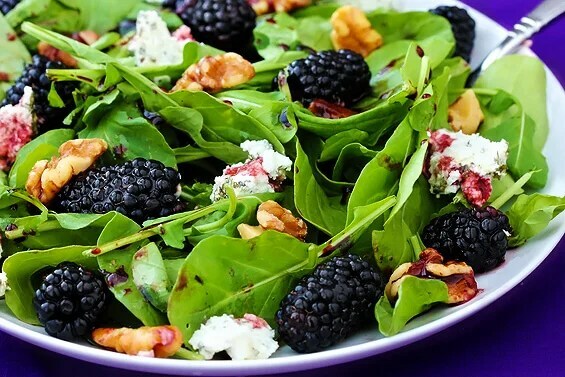 Add spinach, blackberries, cheese, cherry tomatoes, green onion, and walnuts to a large serving bowl. Toss to blend well. 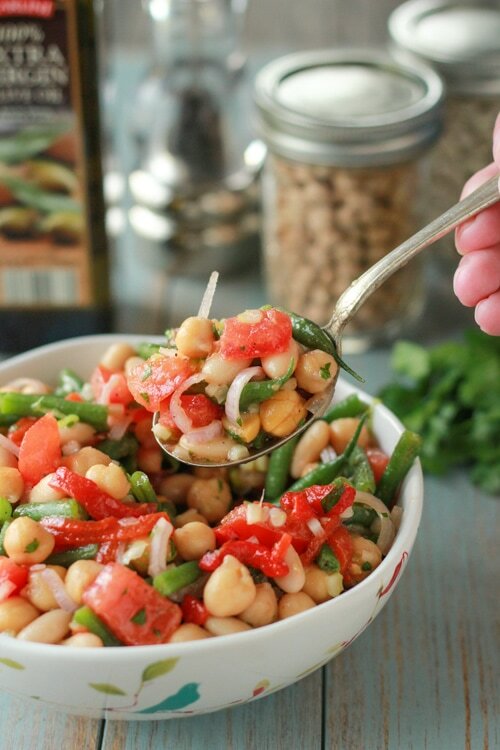 Drizzle with balsamic vinegar and serve into 4 salad bowls. Nutritional information per serving: 167 calories, 7 g protein, 7 g fat (3.2 g saturated fat, 1.6 g monounsaturated fat, 1.8 g polyunsaturated fat), 6 g fiber, 129 mg sodium. 1. Preheat oven to 400 F. Coat a 2 ½ -quart baking dish with cooking spray. 2. Heat 1 Tbsp. oil in a large saucepan over medium heat. Add diced onion and cook, stirring often, until softened and slightly translucent, about 4 minutes. Stir in mushrooms, onion powder, ¼ tsp salt, thyme, and pepper. Cook, stirring often, until the mushroom juices are almost evaporated, 3-5 minutes. Sprinkle 1/3 c flour over the vegetables; stir to coat. Add milk and sherry and bring to a simmer, stirring often. Stir in green beans and return to a simmer. Cook, stirring, until heated through, about 1 minute. Stir in Greek yogurt. Transfer to the prepared baking dish. 3. Whisk the remaining 1/3 c flour, paprika, garlic powder, and the remaining ¼ tsp salt in a shallow dish. Add sliced onion; toss to coat. Heat the remaining 2 Tbsp. oil in a large nonstick skillet over medium-high heat. Add the onion along with any remaining flour mixture and cook, turning once or twice until golden and crispy, 4-5 minutes. Spread the onion tipping over the casserole. 4. Bake the casserole until bubbling, about 15 minutes. Let sit for 5 minutes before serving. 2. Combine greens, mango, avocado and onion in a large bowl. Pour the dressing on top and gently toss to coat. Divide the salad among 5 salad plates. Top each with the remaining raspberries and sprinkle with nuts, if using. Nutrition Facts Per serving: 229 calories; 16 g fat (2 g sat, 12 g mono); 0 mg cholesterol; 21 g carbohydrates; 3 g protein; 8 g fiber; 82 mg sodium; 613 mg potassium. 1. Cook the edamame in the pods in boiling water for 5 minutes and drain. 2. Remove edamame from shells. 3. Top edamame with olive oil, garlic, lime juice and sea salt. 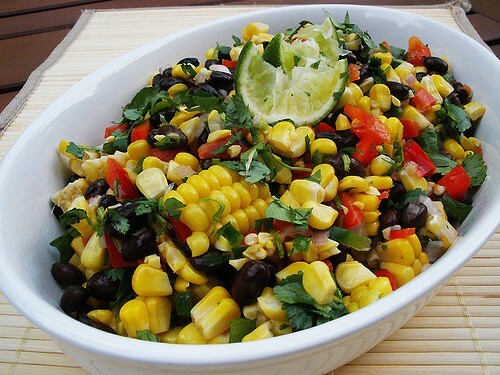 In a large bowl, combine beans, corn, tomatoes, red onion, scallion, and cilantro. Stir in lime juice and olive oil. Marinate in the refrigerator for at least 30 minutes. Add avocado just before serving. • Combine pasta, asparagus, carrots, green onions, squash, spinach, tomatoes, dressing, Parmesan cheese, and salt in a large bowl. • Toss to coat with the dressing and Parmesan cheese. • Serve with grilled chicken or fish. • In a bowl, whisk the spices, lime juice, oil and salt to taste. 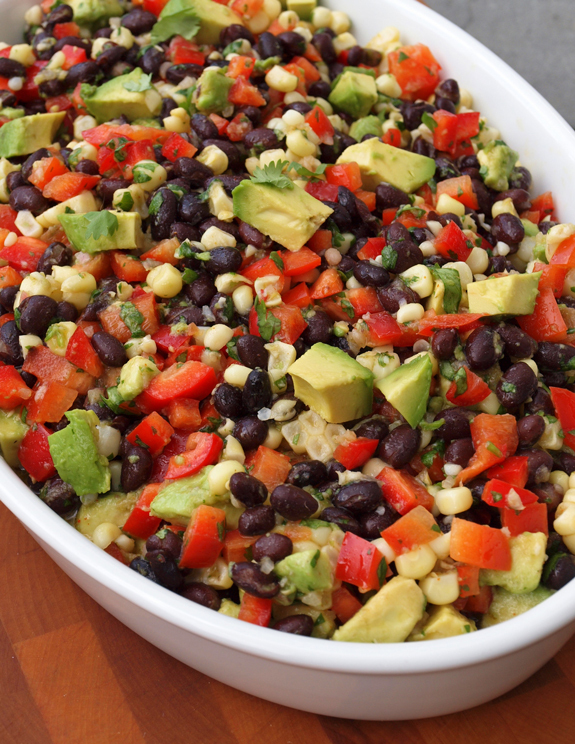 • In a medium bowl, mix the beans, corn, red pepper, scallions and onion. • Preheat oven to 425. • In a large bowl combine olive oil, rosemary, garlic powder, black pepper and parmesan cheese. 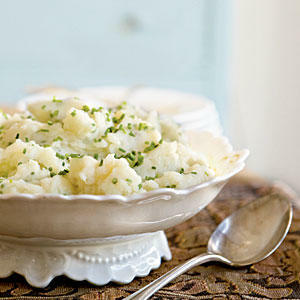 • Roast in the oven for approximately 30 – 40 minutes. Remove when they are golden brown. • In a large saucepan coated with cooking spray, saute onion and garlic until tender. • Add the broth, beans, tomatoes, carrots, macaroni and oregano. 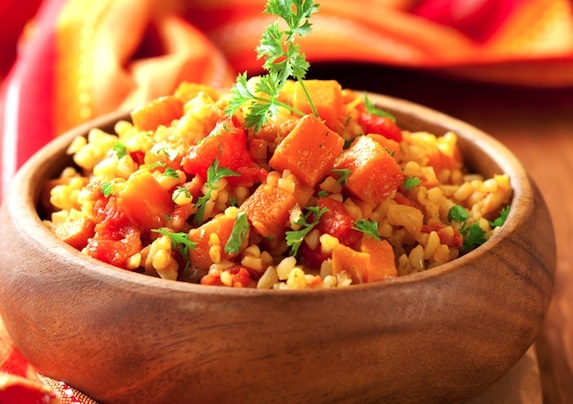 Cook until vegetables and macaroni are tender, about 20 minutes. 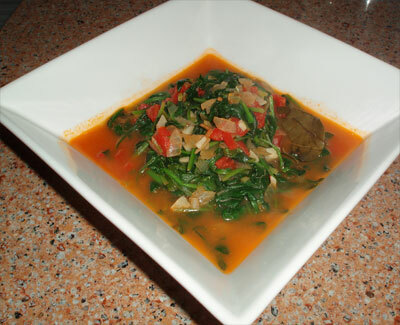 • Stir in spinach and bring to a boil. Remove from heat and let stand for 5-10 minutes. • Sprinkle each serving with parmesan and serve with breadsticks. • Yield: 8 servings (2 quarts). 3. Whisk olive oil, basil, oregano, salt, and black pepper in a bowl; brush mixture over vegetables. 4. 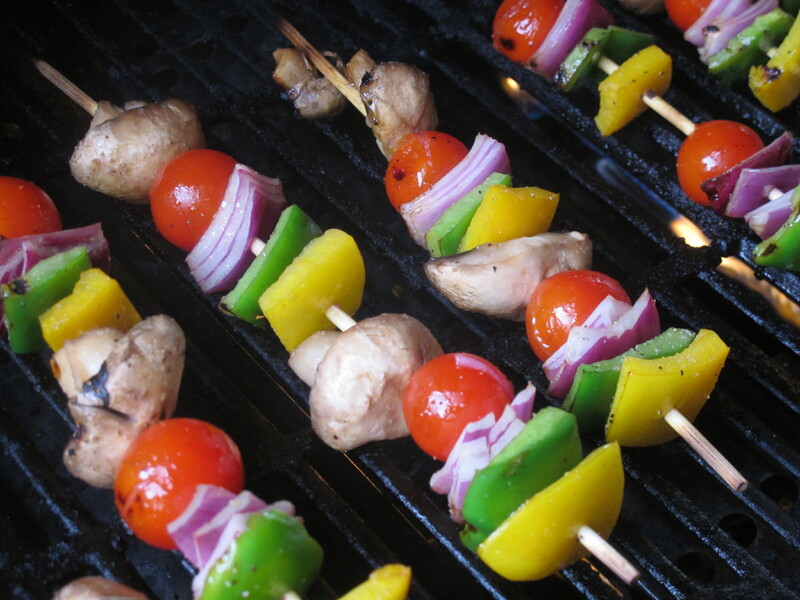 Cook skewers on preheated grill until vegetables are tender, turning and basting vegetables with olive oil mixtures occasionally, 10-15 minutes. 2. 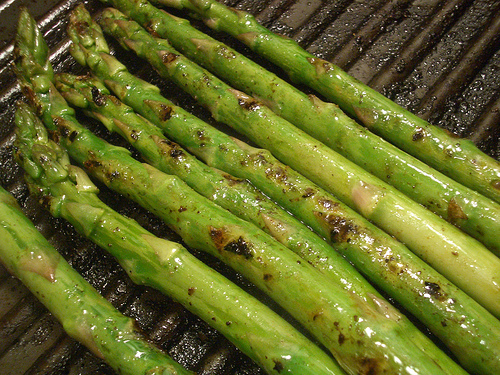 Lightly coat the asparagus spears with olive oil. Season with lemon pepper, garlic powder, onion powder, and salt. 3. Grill over high heat for 2-3 minutes or to desired tenderness. 3. 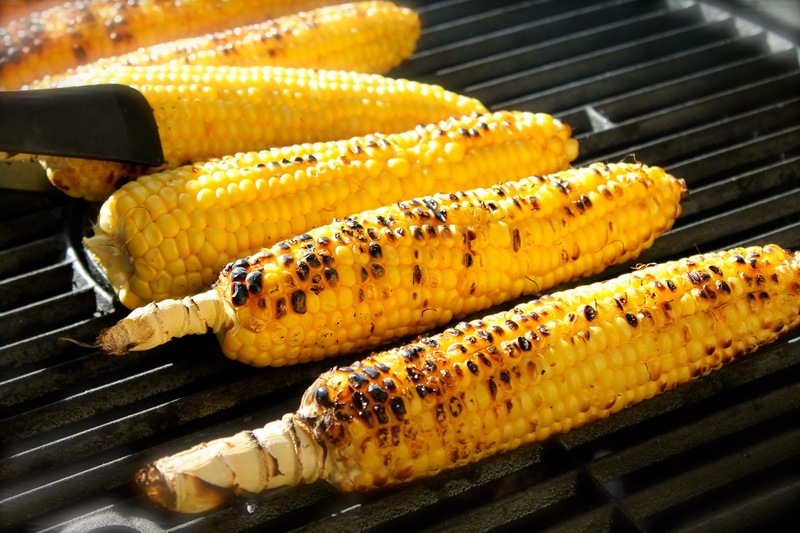 Place wrapped corn on the preheated grill and cook for 20-30 minutes, until tender when poked with a fork. Turn corn occasionally during cooking. Preparation: Mix ingredients together. Enjoy! 1. In a small bowl, mix all dressing ingredients until blended, set aside. 2. Spray a 10 inch skillet with cooking spray, heat over medium high heat. Cook chicken in skillet 15-20 minutes, turning once, until juice of chicken is clear and the center of the thickest part has reached 165 F. Remove chicken to cutting board. 3. Cut chicken into slices. 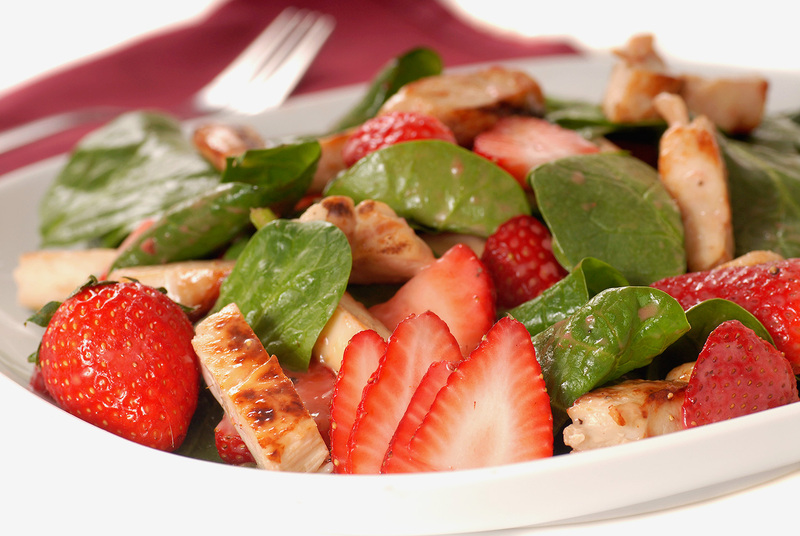 Among 4 plates, divide spinach, top with chicken, strawberries, and cheese. Drizzle with dressing. Sprinkle with walnuts. 1. Bring rhubarb, honey, and orange liquor to a simmer in a medium sauce pan over medium heat. Cook, stirring occasionally, until the rhubarb is just beginning to break down, about 3-4 minutes. Transfer to a large bowl and refrigerate for 15 minutes. 2. 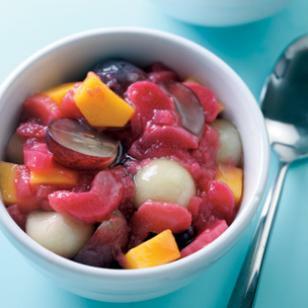 Stir grapes, melon, and mango (or strawberries) into the rhubarb mixture. Serve or return to the refrigerator to chill.